Here is what a few of our clients are saying about why they attend the MAPADOC Conference year after year. 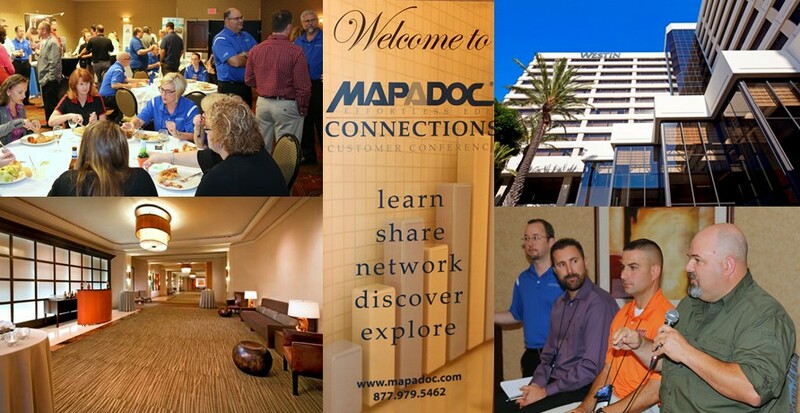 Our third annual MAPADOC Connections Customer Conference provides a great learning and networking opportunity for end users, executives, channel partners, and vendors alike. Connect with the MAPADOC team, other MAPADOC end users, and third-party software solution vendors to get the most out of your MAPADOC EDI software. Take advantage of an extra half day of training options the day before the conference. Attend breakout sessions led by MAPADOC experts and the third-party vendors of complementary solutions. Learn and implement best practices from the MAPADOC experts and the customer panel. Obtain supply-chain visibility, improve sales forecasting, and identify revenue opportunities. Enjoy networking opportunities during the welcome reception, networking lunch, breakout sessions, party night, and vendor expo. Explore other third-party software solutions at our vendor expo, then learn how they can impact your business during the breakout sessions. Register early for only $325 per participant, with training options the day prior to the conference offered at $295. The conference will take place in sunny Southern California, at the Westin Los Angeles Airport hotel, with discounted room rates of $150. Save the dates and get your budget approved.This is one conference you won’t want to miss. Los Angeles here we come.